Our 33rd year has been remarkable in many ways, and the last day of the year brought with it a humbling honor. Monterey Bay Aquarium was saluted by colleagues with the World Association of Zoos and Aquariums (WAZA), for the depth and scientific rigor of our work to safeguard the health of the ocean. “This is quite an anniversary present!” Cynthia Vernon told WAZA delegates as she accepted the Conservation Award on behalf of Monterey Bay Aquarium. 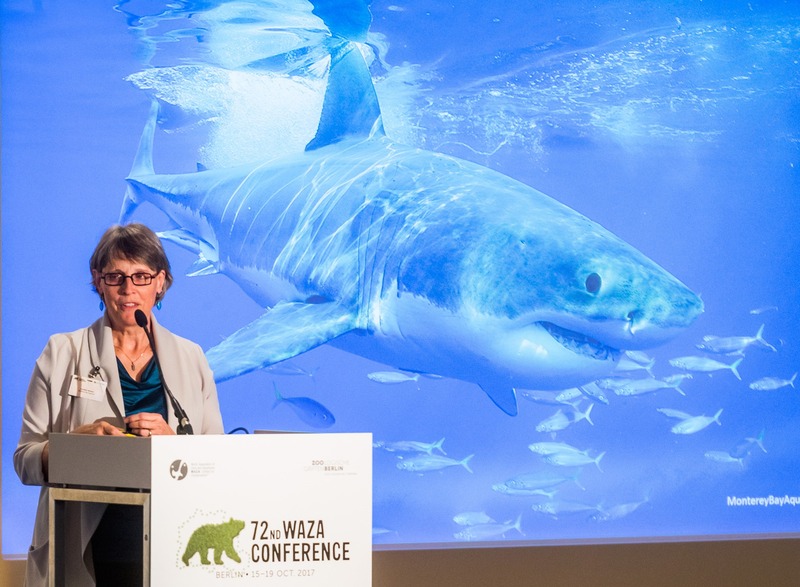 “This is quite an anniversary present!” Aquarium Chief Operating Officer Cynthia Vernon told WAZA delegates gathered in Berlin, Germany as she accepted the second-ever Conservation Award presented by the WAZA, an association of 300 member zoos and aquariums from six continents. 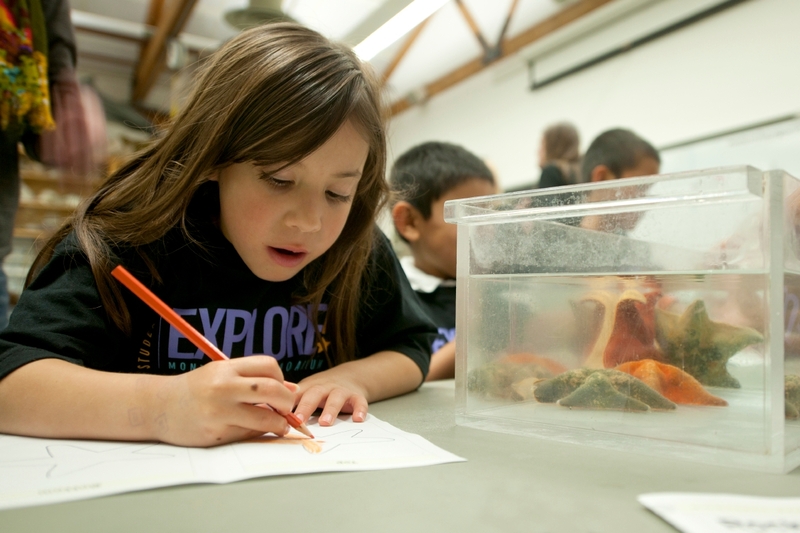 Monterey Bay Aquarium is driven by our mission, “to inspire conservation of the ocean.” Recognition by our peers is validation of the many ways in which we’ve expanded our vision for what that means—from informing our visitors to educating tomorrow’s ocean leaders. From participating in scientific collaborations to taking policy action and engaging with partners around the globe. We’ve evolved from inspiring ocean conservation to taking action. We’ve long encouraged other aquariums to step up as ocean advocates. 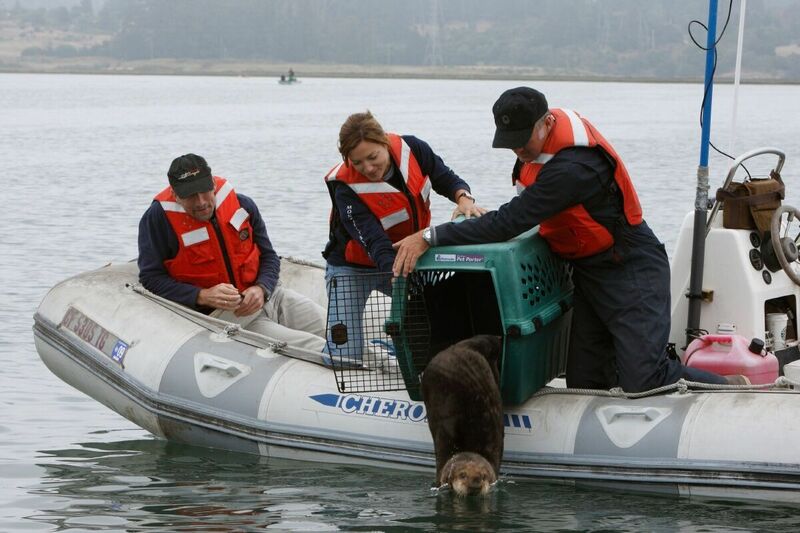 Our research with sea otters, sharks, Pacific bluefin tuna and other species helps us understand and protect marine life and ecosystems. We began when our doors opened in 1984, with a commitment to create innovative living exhibits, to conduct field research programs aimed at understanding the ocean’s living systems, and to offer education programs that inspire and shape new generations. Today, our work encompasses all that and more—including a growing engagement in the ocean policy arena: in our community, in California, across the United States and around the world. WAZA, as the voice of a global community of conservation-minded zoos and aquariums, encourages its members to do more to protect wildlife and wild places. In conferring the Conservation Award, it cited the breadth of our work on behalf of ocean protection and in building public awareness of ocean issues. The Aquarium’s partnerships for sustainable seafood span the globe. Learn more about our work on behalf of ocean wildlife and ocean health.